The facelift BMW 7 Series has only just been revealed. Alpina have wasted no time with the release of their Alpina B7’s, based on the platform of the facelifted model. Of course Alpina were able to get their hands on the new design early on account of their close relationship with BMW. 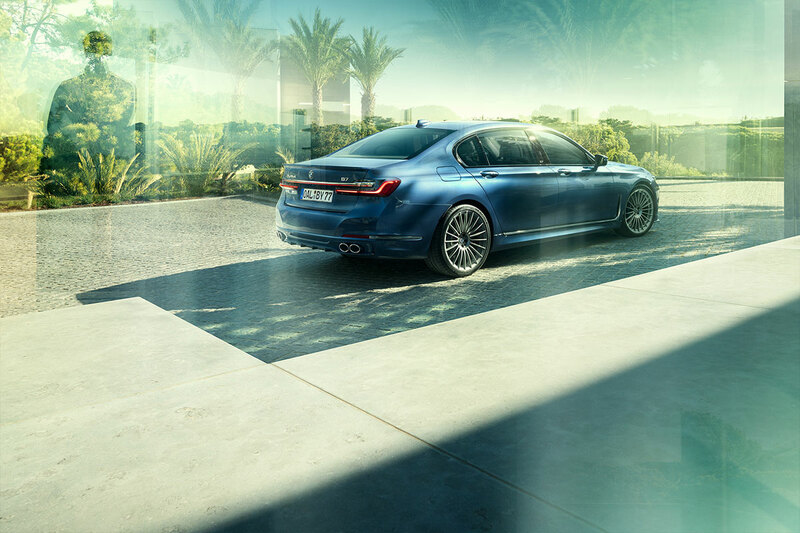 In essence, the new Alpina B7 is just a facelift of the old version. It features the new front grille, the vertical air breathers and the modified headlights of the 7 Series upon which it is based. Under the bonnet mild changes have been made. 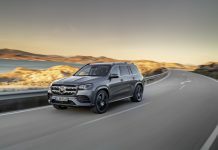 The 4.4 litre biturbo V8 engine gets larger turbines, new inter cooler connections and a tweaked engine management system. Power output remains the same though, pegged at 608 hp and 800 Nm. The modifications affect the delivery of that power with 100 km/h arriving 0.1 second quicker at 3.6 seconds. Top speed is an impressive 330 km/h. The suspension is different too. 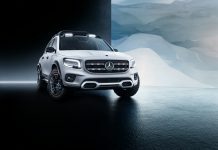 It gets the same two-axle air suspension system, combined with Dynamic Damper Control and Active Comfort Drive. Alpina have different control systems though. For example, at 225 km/h, the new Sport+ Mode automatically reduces the B7’s ride height by 15 cm to reduce the centre of gravity. The variable-ratio electric steering system has been modified by Alpina too, it combines with the rear wheel steering for superior handling over the standard 7. As you would expect, BMW’s updated interior tech is also available for the super saloon. The latest BMW iDrive 7.0 navigation system sits surrounded by Nappa Leather and subtle Alpina design touches. Sound isolation has also improved with new shielding in the rear wheel arches, enhanced sound insulation elements in the B-pillar area and 0.2 mm thicker window glass. 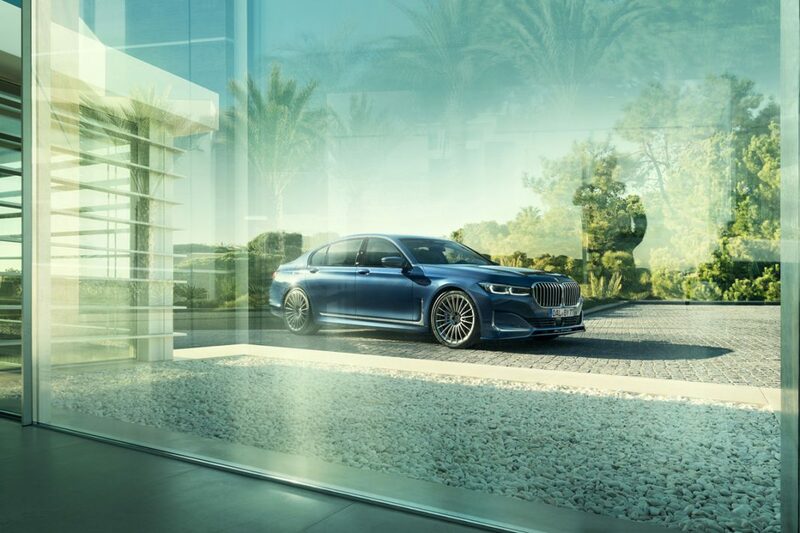 Pricing and availability for the Alpina B7 are yet to be released. 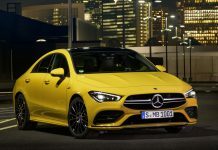 It should be on display at the Geneva Motor Show 2019 which takes place next month so we will be sure to catch up with it then!